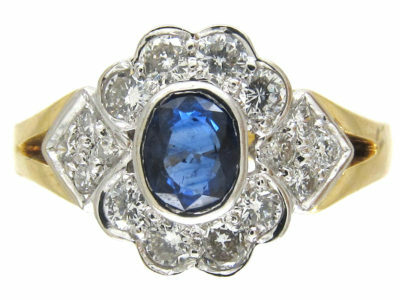 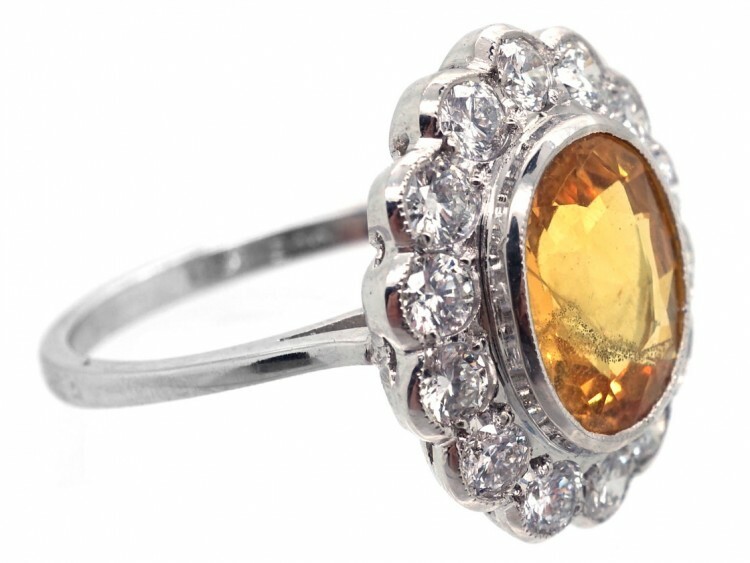 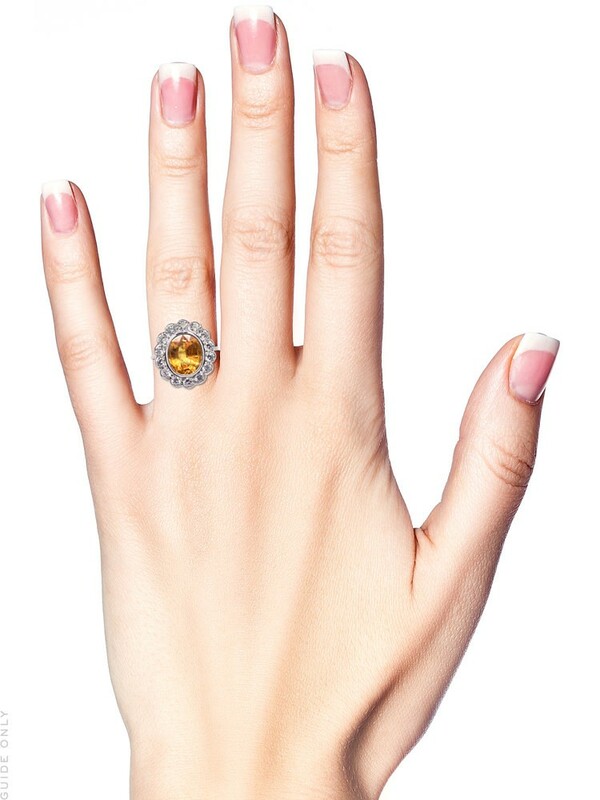 A fabulous 18ct white gold ring set with a wonderful two and a half carat yellow sapphire which is surrounded by over one carat of good white diamonds. 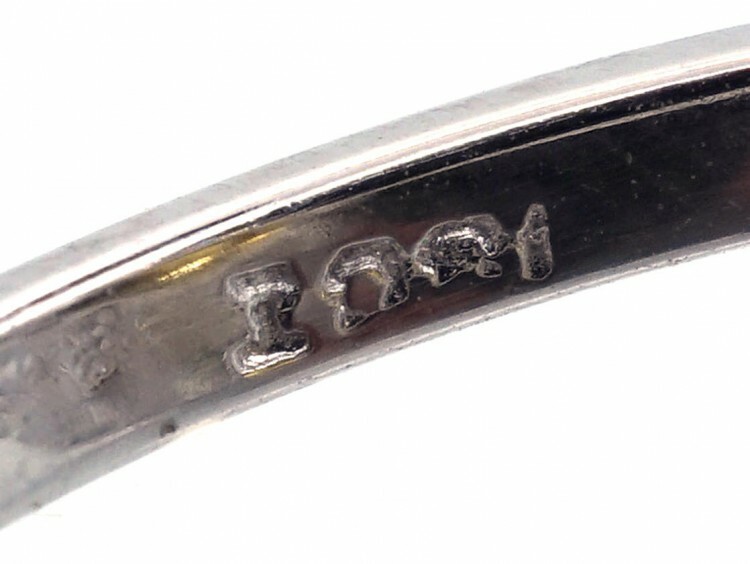 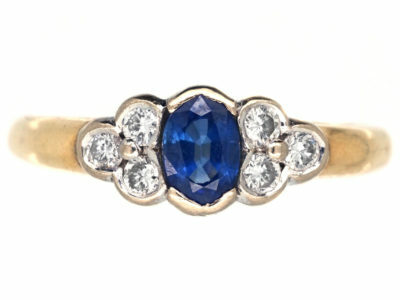 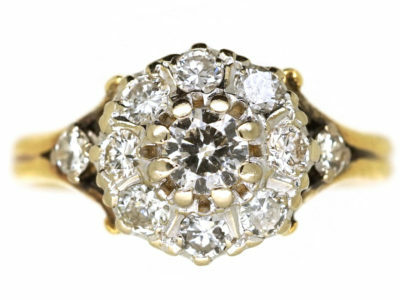 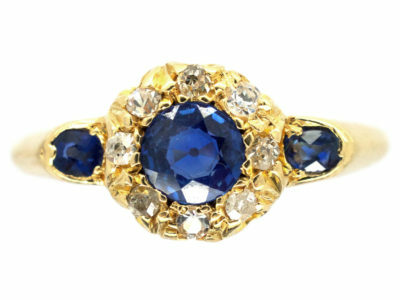 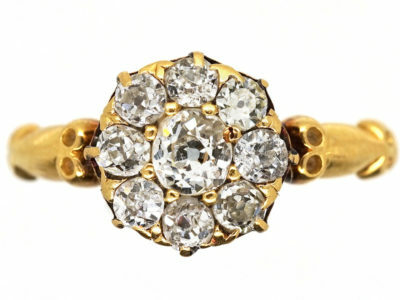 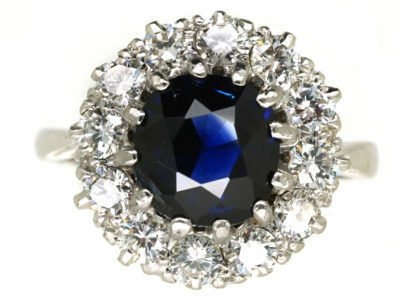 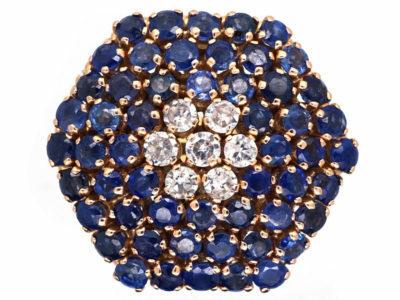 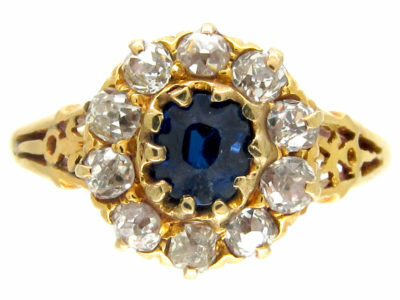 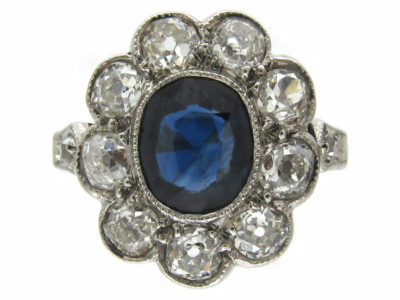 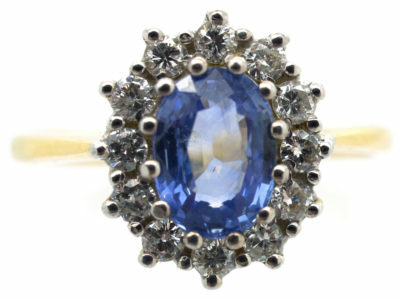 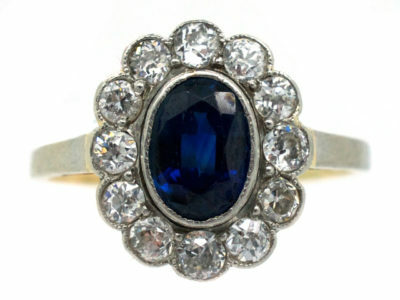 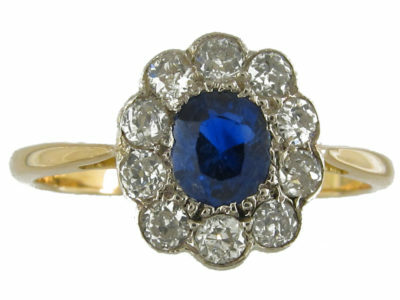 It looks amazing on the finger and would be a great engagement or dress ring. 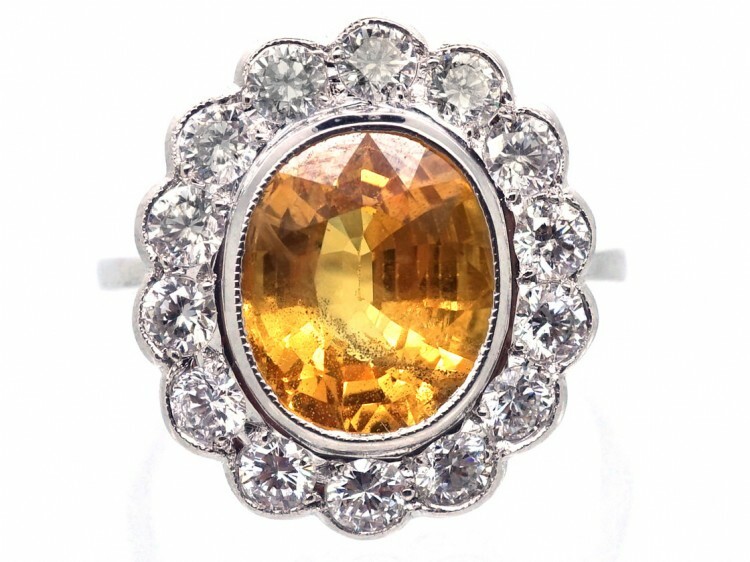 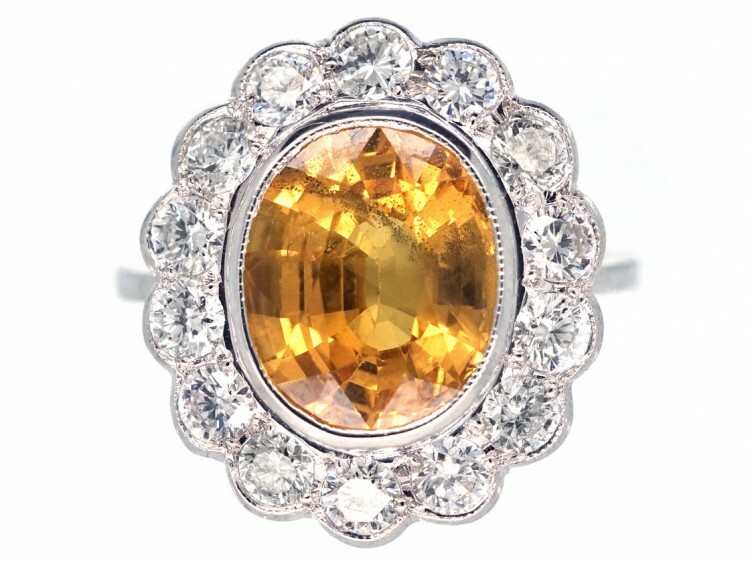 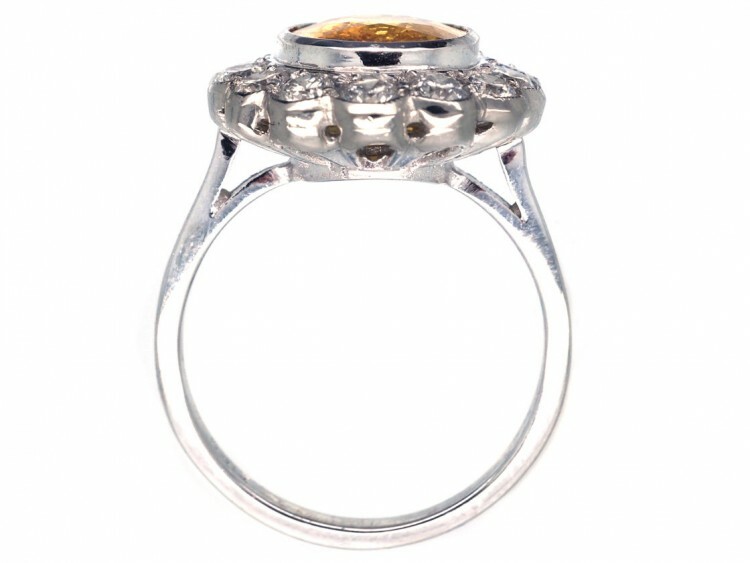 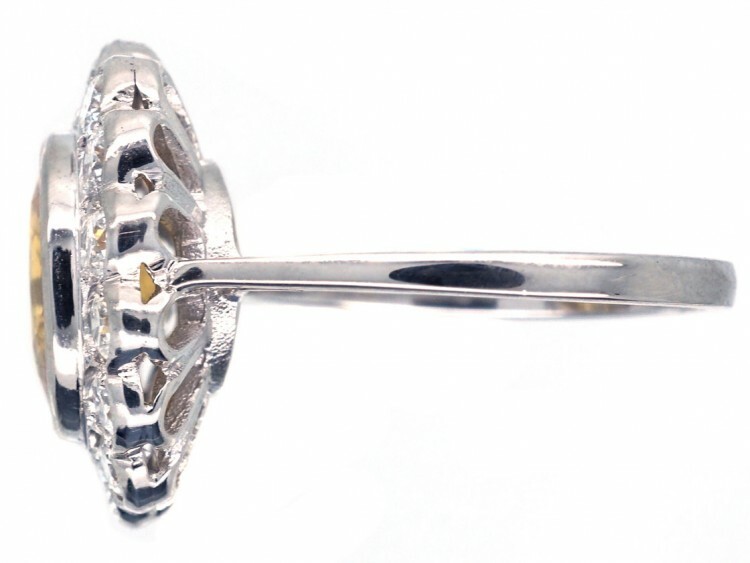 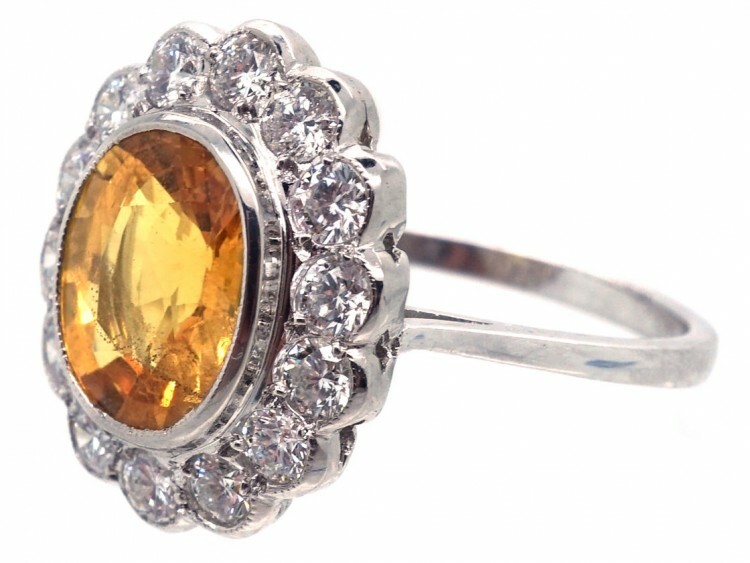 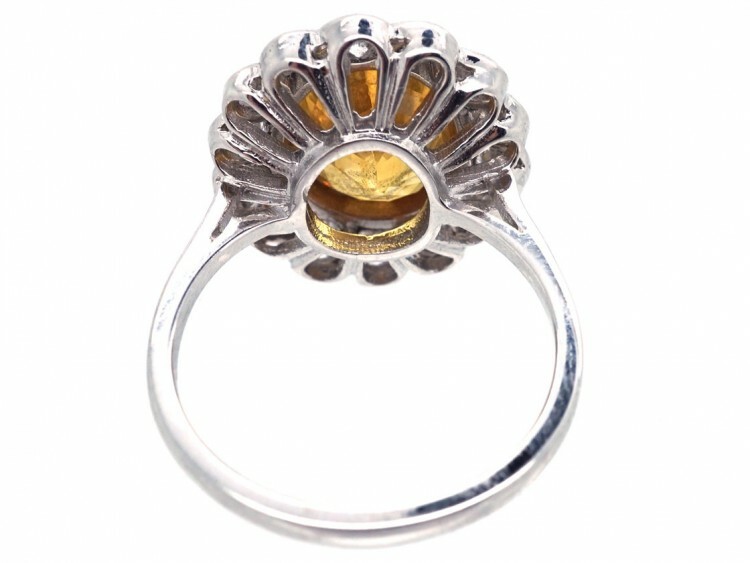 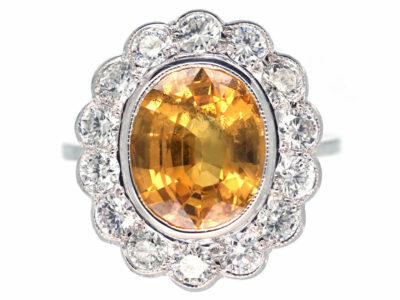 I love yellow sapphires and this is a good one!